Historically the main choice of entrance door has been limited to timber, which in time can expand, contract or warp and require regular maintenance. PVCu Doors, whilst not requiring regular maintenance, lack the authentic wooden door look. So if you are looking for an alternative to gives that authentic look and feel of a wooden door then a GRP (Glass Reinforced Polyester) faced composite door is the perfect choice. Our composite doors are compression moulded to give a high definition panel design which offers authentic timber appearance. All our composite doors are low maintenance, paint free, robust and easy to clean manufactured for strong impact strength. 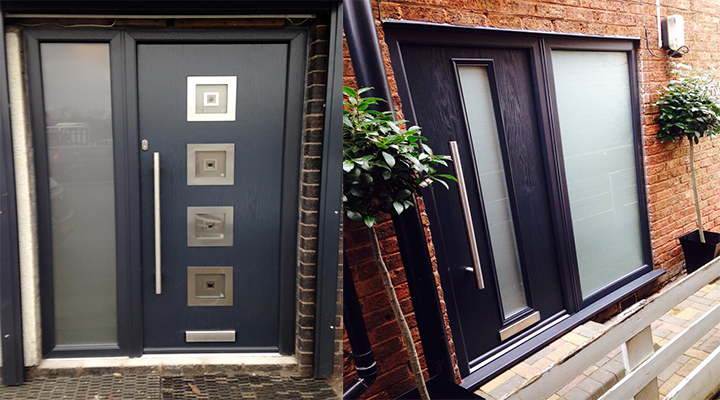 Our composite doors come with steel reinforced 70mm PVCu frame, extruded to B7413 standards. 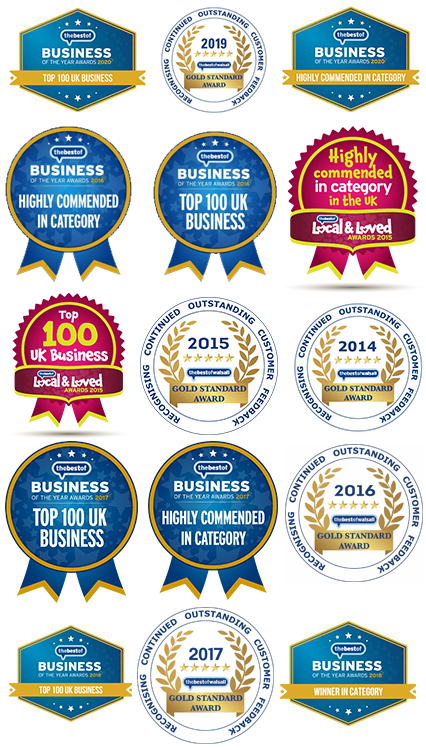 Our composite doors are safe and secure and secure and feature multi-point locking, securely fastening the door to a fully reinforced frame with a combination of hook bolts and deadbolt. With many choices of designs, styles, colours and glass options you will have no problem finding the right door for you. 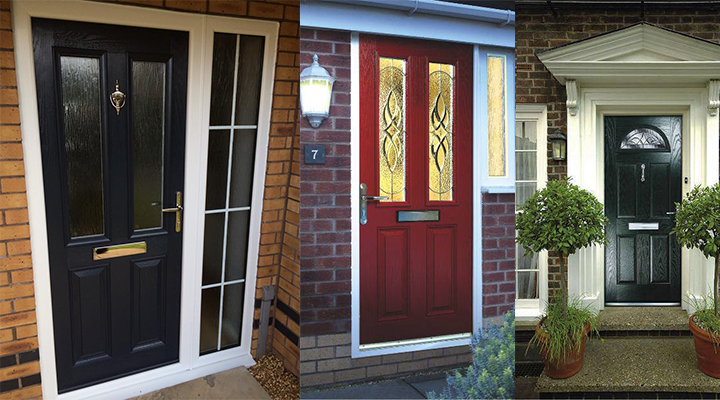 Below are just a few different styles but if you want to see our full range please feel free to download our composite door brochure here. Or check out our Installations to get a better idea. 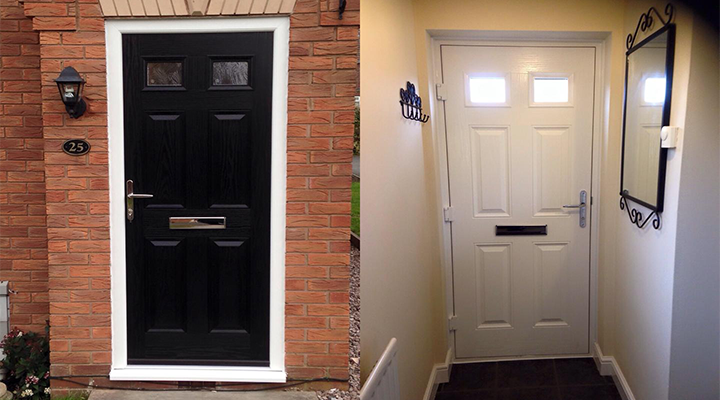 Composite doors are energy officent & environmentally friendly. The door has nine times better insulation than a timber door. Composite doors are stable due to the thermoset manufacturing process meaning the panel will not expand or contract with changing temperature will not bow, wrap, crack, splinter or dent. They are strong & durable with a high impact-resistant GRP (Glass Reinforced Polyester) skin 44mm thick leaf for increased security. Composite doors are easy to maintain due to its pre-pigmented skins, engineered composite rails and stiles which completely seal the insulating core. Composite doors come with the authentic appearance of wood grain and are indistinguishable from timber compression moulded, high definition panel display authentic colour skins available in a range of styles and sizes accepts a wide range of glazing options. 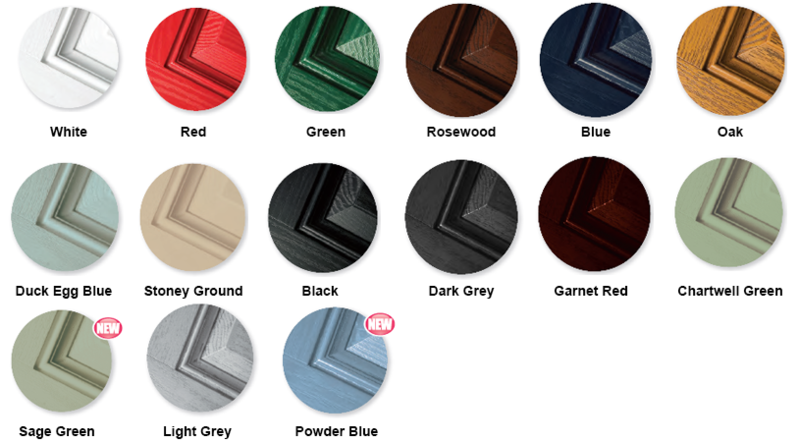 Our composite doors come in a range of colours below are the colours that we do.